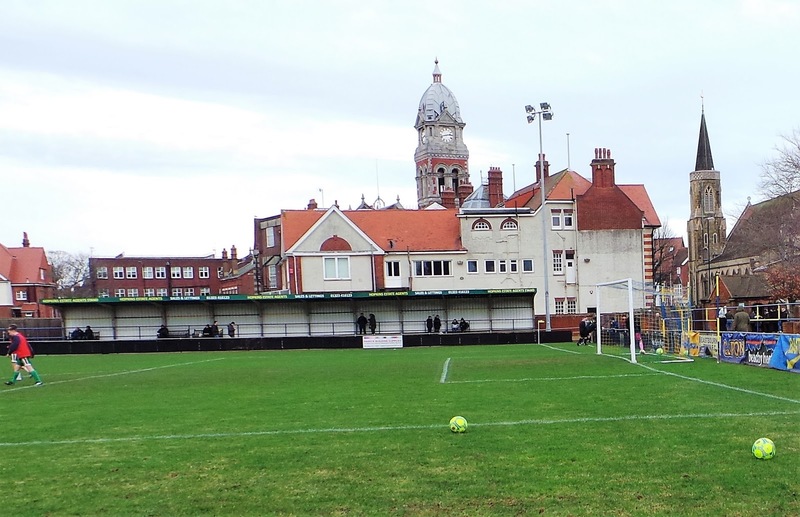 The club was formed in 1881 as Devonshire Park, changing their name to Eastbourne 8 years later before finally settling on Eastbourne Town in 1971. 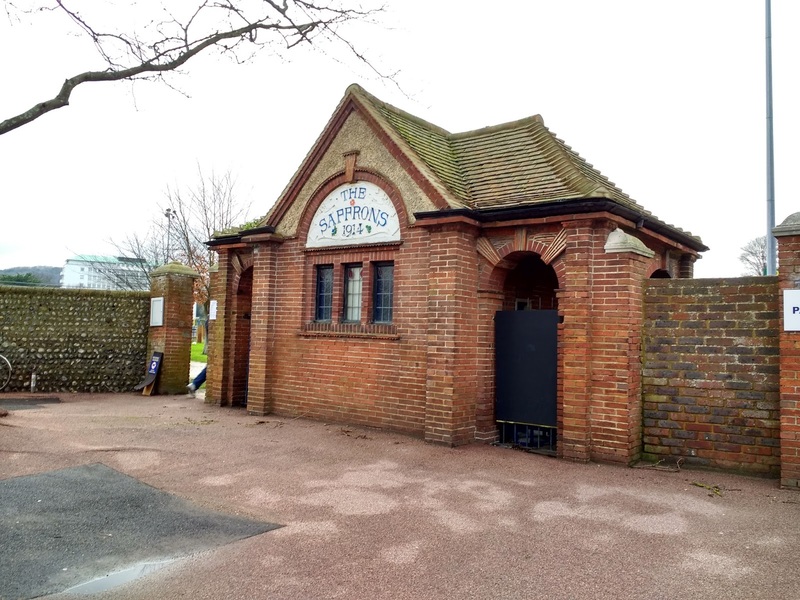 The first league they have a record of calling home was the Southern Amateur League where they stayed until 1946, though they spent one season away in 1920/21, finishing 3rd as founder members of the Sussex County League. 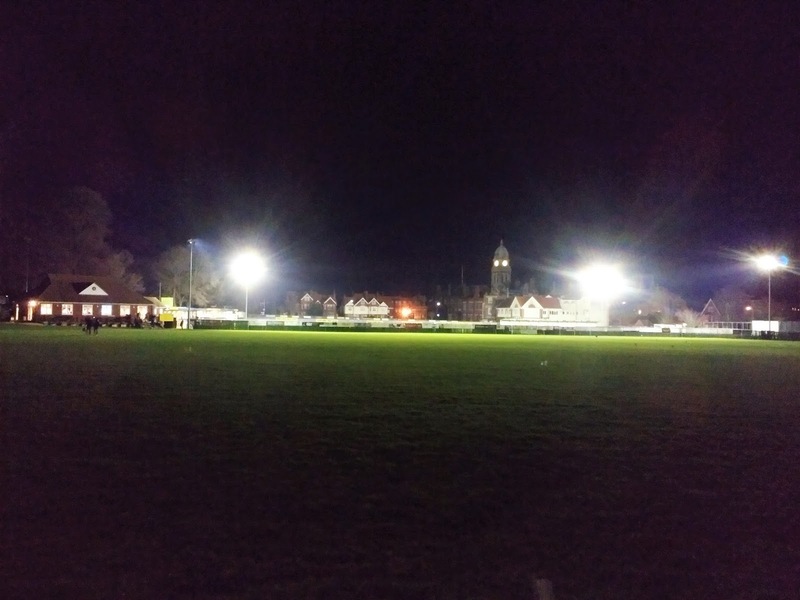 A spell in the Corinthian League followed, two 7th place finishes were the highlights. 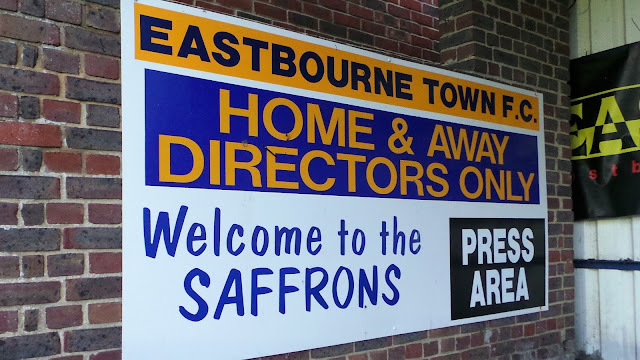 In 1963 Eastbourne joined the Athenian League at Division 1 level, though they struggled and were relegated to Division 2 after a few seasons. 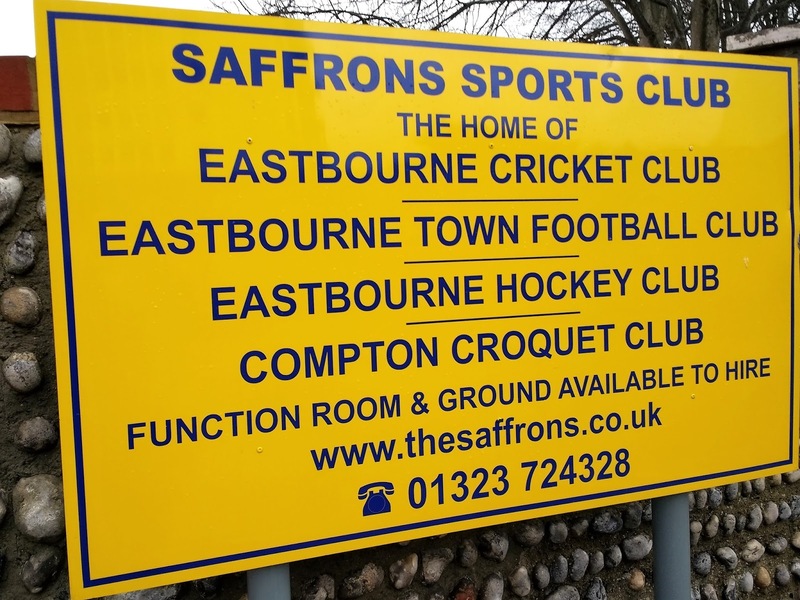 They eventually recovered, winning the league in 1976 and rejoining the Sussex County League. They'd remain in the top tier for most of their stay here, even being crowned champions in their first season. 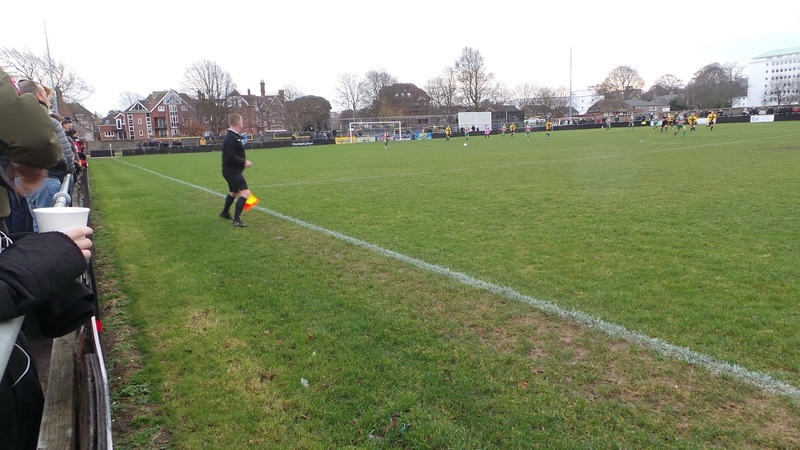 They were briefly relegated to Division 2 in 2001, though a runners-up spot behind Rye & Iden United in 2003 was enough to see them promoted back up. This was followed by their second Division 1 championship in 2007. 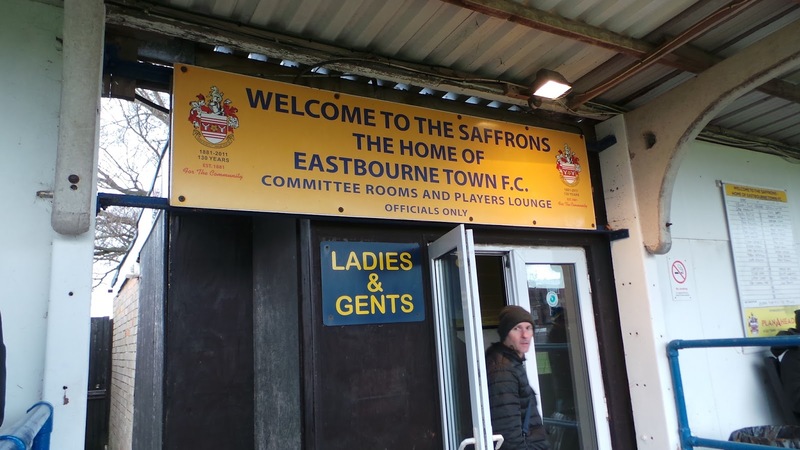 This time Eastbourne Town opted to take the step up to the Isthmian League, playing in Division 1 South. Their best ever finish in the modern pyramid came in 2013 as they finished 11th, however, they were relegated the following season. 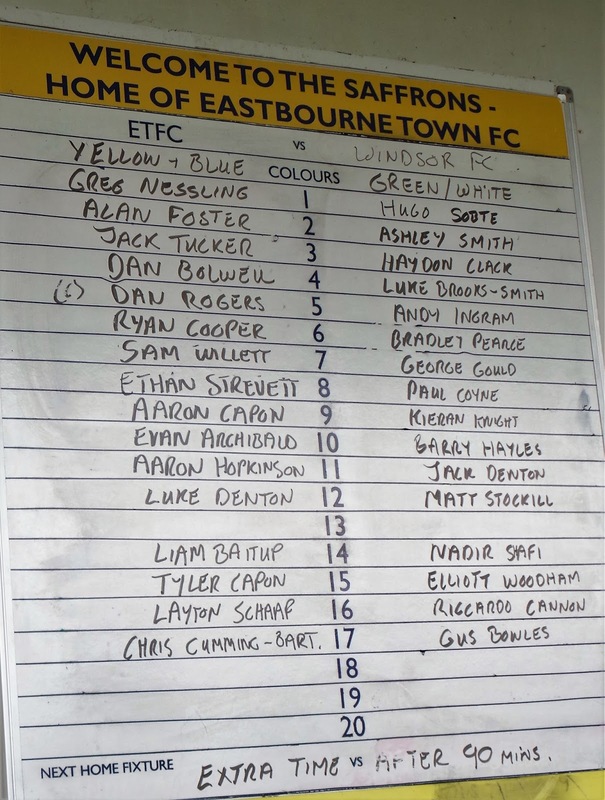 Since returning to the Sussex League, it has been renamed the Southern Combination. Finishes have been excellent, with the club always being in the top 5. Prior to today's game, they sat 3rd, with a real chance of gaining promotion at the end of the season. 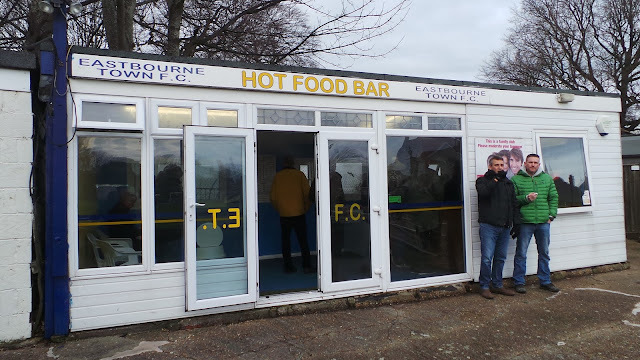 In the FA Cup, Eastbourne has reached the 4th Qualifying Round four times, the latest coming in 1967 as they lost 9-0 at home to Margate. 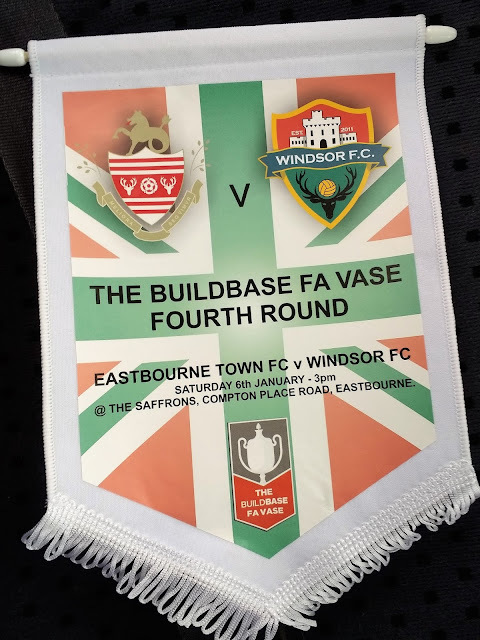 Success has been hard to come by in the FA Amateur Cup and FA Trophy but a number of good runs have been enjoyed in the FA Vase. The best of those came in 1976 when they narrowly lost 1-0 at Barton Rovers in the 5th Round of the FA Vase.Local honours include the Sussex Senior Cup on 12 occasions and the Royal Ulster Rifles Cup six times. 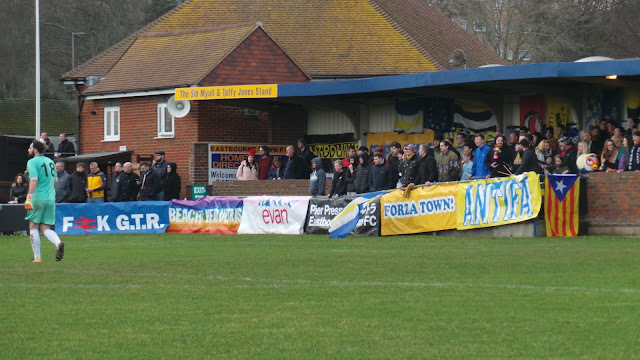 The club's record attendance of 7,378 came for an FA Cup game against Hastings United in 1953. Eastbourne Town has two main supporters groups. 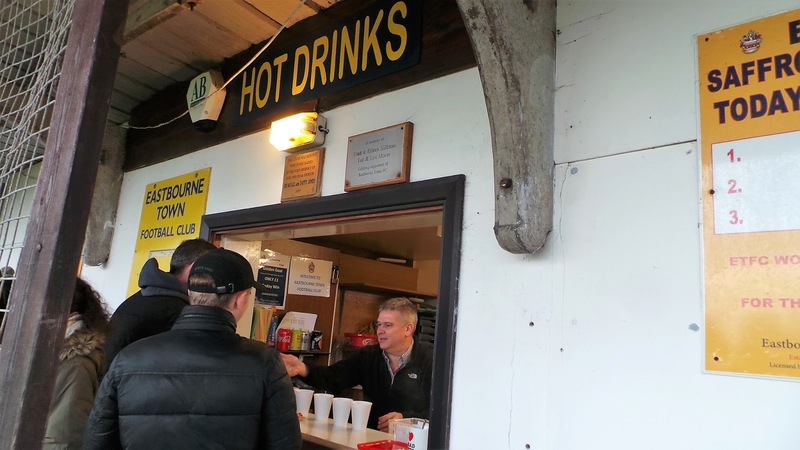 The brilliantly named 'Pier Pressure' help out the club, producing the match day programmes, maintaining social media channels and selling merchandise. The edgier Beachy Head Ultras also lend their support, both bringing a display of banners, flags and occasionally smoke bombs on matchdays. 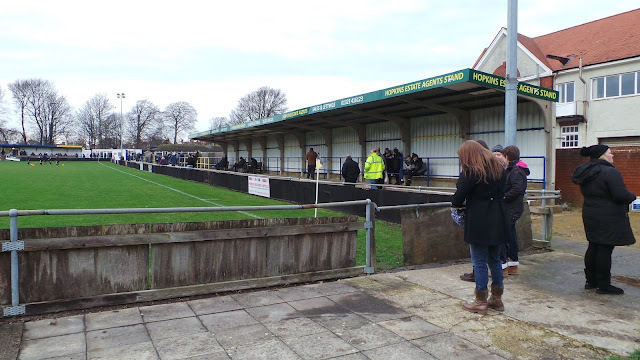 Unlike at Clapton, the supporters have been welcomed and embraced by the club. 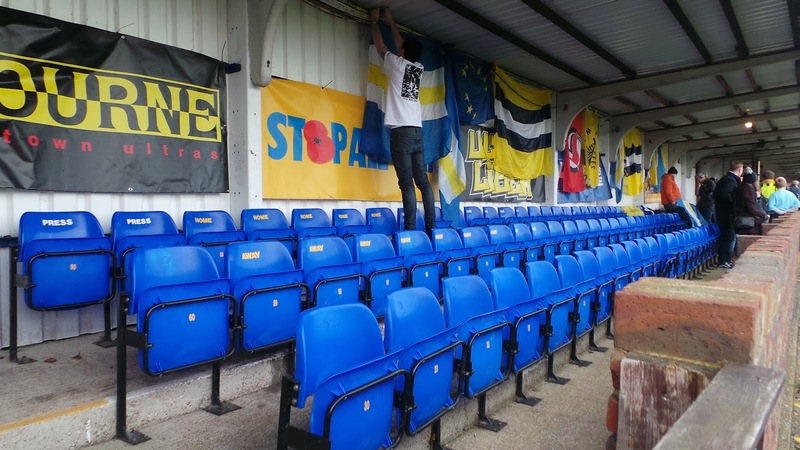 Contrary to the town's traditional Tory support, these fans are unapologetically left wing. They have supported local causes, including the Eastbourne Foodbank and anti-racist charities. Their latest cause is to help out the Windsor Homeless Project, an organisation in the hometown of today's visitors. 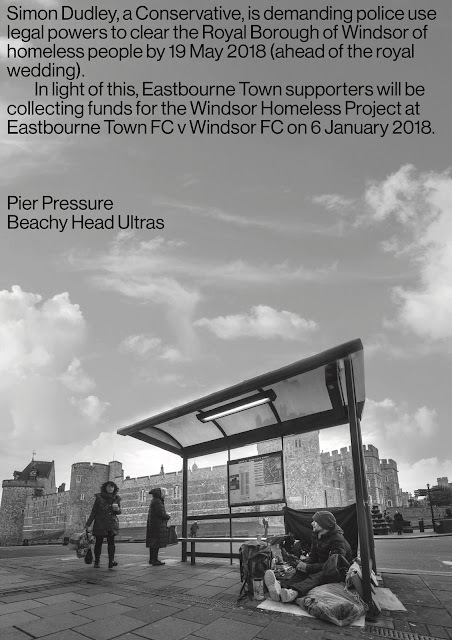 The homeless in Windsor have been treated with callous disregard by their local council with leader Simon Dudley wanting to clear the streets of the homeless before the upcoming 'Royal Wedding' - even going as far as to contact the police to make sure the protocol gets followed. The crazy thing is, this should not be happening in a civilised country. Giving every single person who needs it a hot meal and a warm bed for a night will cost a fraction of what the aforementioned wedding will eventually total up to. Usually, I look forward to FA Cup 3rd Round weekend and get to a good game. This year, however, it had been a right rubbish draw, with very few decent ties. The media might have been getting themselves excited about Liverpool v Everton, Crystal Palace v Brighton and Middlesbrough v Sunderland, but these ties were ten a penny with the sides being in the same league. My own team Wycombe had been 'rewarded' with an uninspiring home tie against Preston North End. Normally I'd have gone regardless, but with the game not capturing my imagination and the £20 ticket price put me off. Don't get me wrong, it's not an outrageous amount, but usually, I pay £11.80 a game for the league games. Whilst many clubs had decided to reward loyal season ticket holders with a discount, mine had seemingly taken theirs for granted and were charging them full price. I started seeking out alternatives - Birmingham City v Burton Albion was a dull tie, but I'd not been to St Andrews for years. They were offering their own season ticket holders a discount of a fiver and it was still only £15 otherwise. However, I'd left it too late to get a cheap train. I started looking at other competitions, namely the FA Vase. 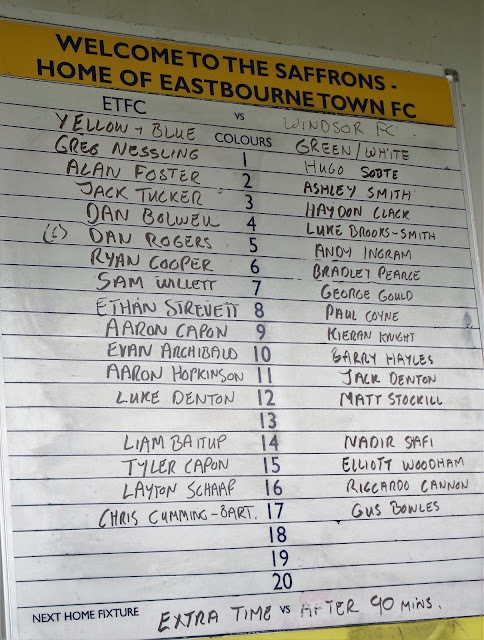 For me, the best tie here was Eastbourne Borough v Windsor. I checked the Windsor FC Twitter to see if they had any spare coach places - they did have on the players' coach, so I nabbed one. The best thing was, it was completely free, as visiting clubs have their expenses paid for FA Competitions. With entry at £6, it was ironic that I could get a ticket, travel to Eastbourne and much more for what I'd have paid if I'd gone to Wycombe. 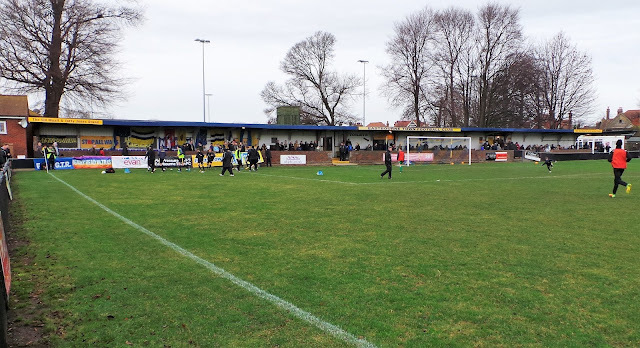 Windsor was one of my most seen clubs, having seen them play 22 times (although some were under their former guise of Windsor & Eton) and I always enjoyed a visit to their home ground, Stag Meadow. The night before the game was spent with a few cans, playing my lasted football manager game, which was my European journeyman save. After starting off unemployed, I got the job at second-tier Romanian club CF Balotesti and was doing pretty well. I got a fairly early night, waking at 7am the next morning. After playing a few more games, I had breakfast and a bath before leaving for Windsor at 9.40. By 10.15, I was at the ground and after parking up, I popped down the local shop for a paper. 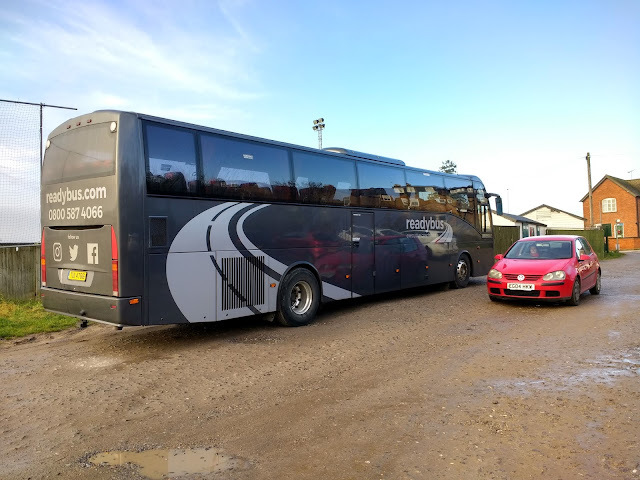 We had a bit of a wait for the coach to depart as one of the players was stuck in traffic. We eventually got away at 10.55. Luckily the journey was decent, with some players coming up the front of the bus to sing. After a rather ropey rendition of Amy Winehouse’s ‘Valerie’ they gave up. We stopped at Peace Pottage services for 20 minutes where I had a lukewarm and mediocre steak and cheese slice at Greggs, though at least it only cost £1.30. We got to the ground at 1.20, parking up on the road outside. There were two Wetherspoons pubs that I wanted to 'tick' both within walking distance. I went to the better-looking one first, the London and County and wasn't disappointed. One of my favourite ciders, Black Dragon was on offer at the usual wallet friendly Wetherspoons prices and I was able to watch the Fleetwood v Leicester FA Cup game there. The second Wetherspoons, the Cornfield Garage was pretty crap - no real cider and no tables to get food. At least some of the Windsor fans there cheered me up, remembering me from when I used to watch them regularly under Dennis Greene. 'Have you bought the baldy geezer' they asked, in reference to Paul, the mate who I roped into going to watch random games. 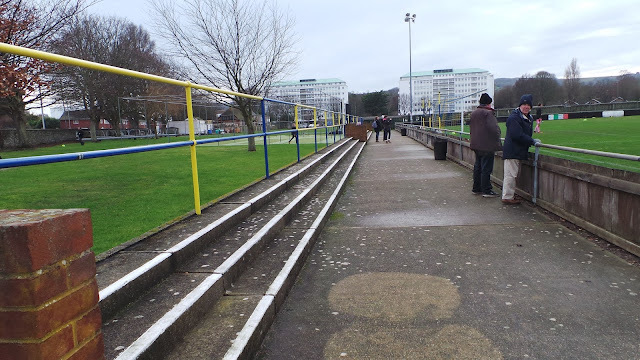 I wasn't a groundhopper at the time and wished I'd started earlier, but always enjoyed my visits to Stag Meadow. After the second pint, I went in search of takeaways. I found one place, RFC and ordered a strips and chips meal for £4. It was pretty poor - the chips and drink were fresh, but the strips tasted like they’d been sitting around for hours. After that, I made my way to the ground. I arrived at 2.20, paying a reasonable £6 to get in. The programmes were already sold out, no issue to me as I got a team sheet, but they missed out on some revenue. I was still peckish, so went and got some chips from the tea bar. Service was really slow, about 20 minutes to serve a small queue but I was out in time for the game. I'd been hoping to cut and paste a match report from the Non-League paper below, but alas, a reporter was not sent. Even if they weren't interested, the public was with the day's second-best crowd in the FA Vase of 596. Windsor had bought a fair number of fans, mainly by train and they would have been pleased as their team made a bright start. 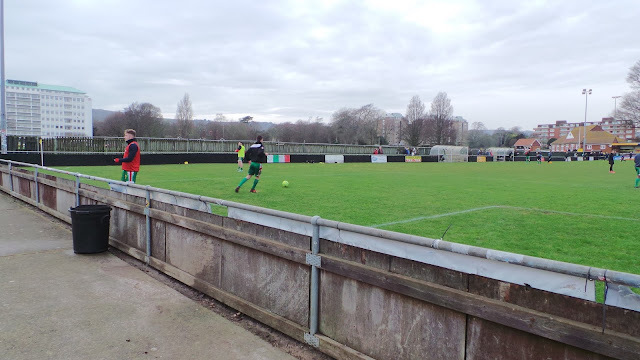 Home keeper Greg Nessling made a couple of good saves, including one from former Football League striker Barry Hales, still going strong despite being 46 in May. 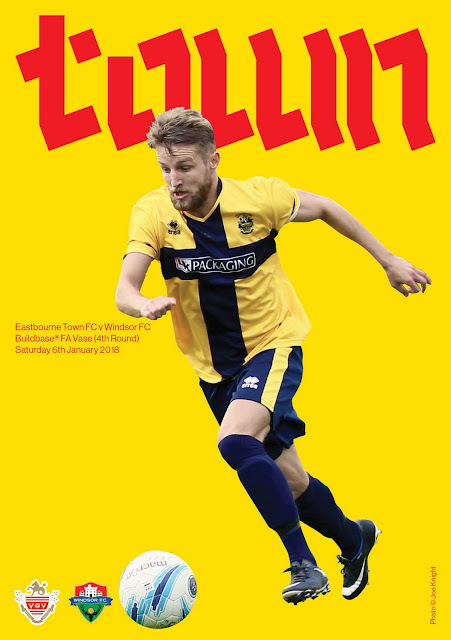 It was against the run of play that Eastbourne Town took the lead on Hesitancy in the Windsor defence allowed Evan Archibald to net from close range to give his side the lead on 27 minutes. Eastbourne took the game by the scruff of its neck for a long while and it was only a great save from Windsor keeper Hugo Sobte that prevented the lead from being doubled. It was the hosts that had much the better of the second half, but Windsor were awarded a penalty on 78 minutes. Kieran Knight stepped up and converted well, the balance of play now tipping back in the visitors favour. With a couple of minutes of normal time remaining, substitute Nadir Shafi rifled into the roof of the net to give Windsor the lead. Shafi turned provider deep into injury time, setting up a goal on the break. 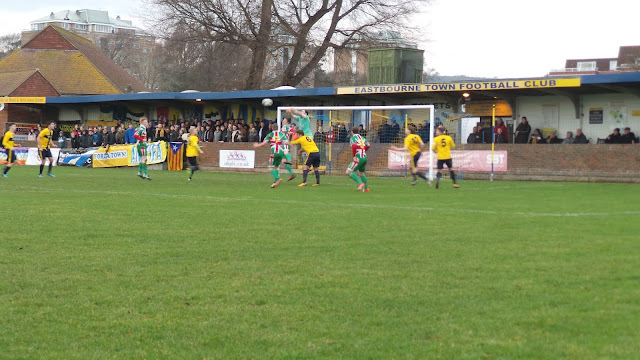 It was a simple finish for fellow sub Matt Stockhill who slotted into an empty net after the ball was squared. The final whistle prompted wild celebrations from the Windsor players who were jubilant at the result. After the game, I made my way into town to get some drinks and snacks from Poundland. Irn Bru and Chocolate Creme bars bought, I made my way back to the first Wetherspoons. Here I had half a Black Dragon as it’s a fairly rare treat for me. I was back at the coach for 5.40 and had a good chat to the driver who was just as keen to get home as me. 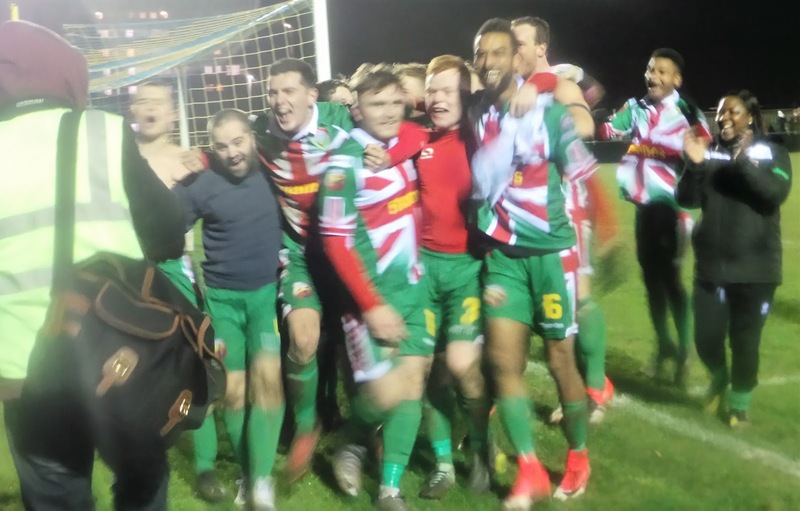 The Windsor players deserved their celebrations though, pulling off a result against the odds and putting in their best FA Vase performance since 1982 and indeed in the entire reformed club’s history. 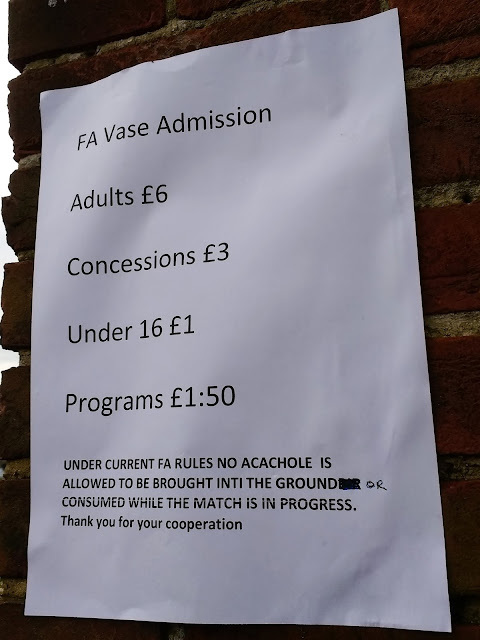 Sadly, I won’t be able to join them as the football league has scheduled Wycombe home games in every round, just as they did with the FA Cup Qualifiers. We left at 6.20 with the players in great spirits which ensured a lively journey home. There was a stop at Tesco Express which allowed the players to get some well deserved liquid refreshment. I’d have loved to have joined them, but it would have been lunacy with me driving in a couple of hours. We eventually got back at 8.25, me having had a good day out, all for less than the price the ticket alone would have cost at Wycombe. I got back in at 9 and from there it was the usual Saturday night ritual of Match Of The Day, despite me being up at 4 am the next morning. I await the draw with interest, although barring the game being on an unusual day, will not be able to attend. 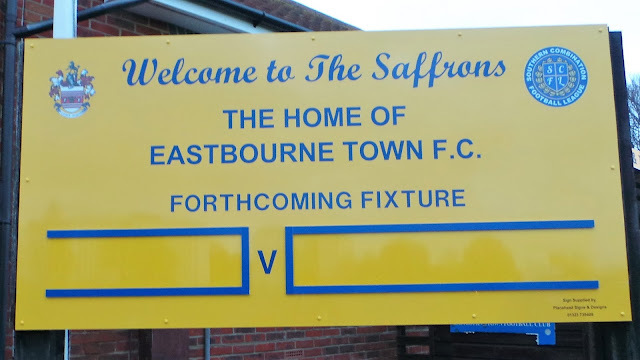 THE SAFFRONS is a decent ground for step 5, having seen service at a higher level. There’s an area of standing cover along one side, but the main area is behind the goal with around 200 seats and 350 standing under cover. The rest of the ground is open to the elements and includes lots of steps of terracing. In addition, there’s a decent tea bar and reasonable bar. 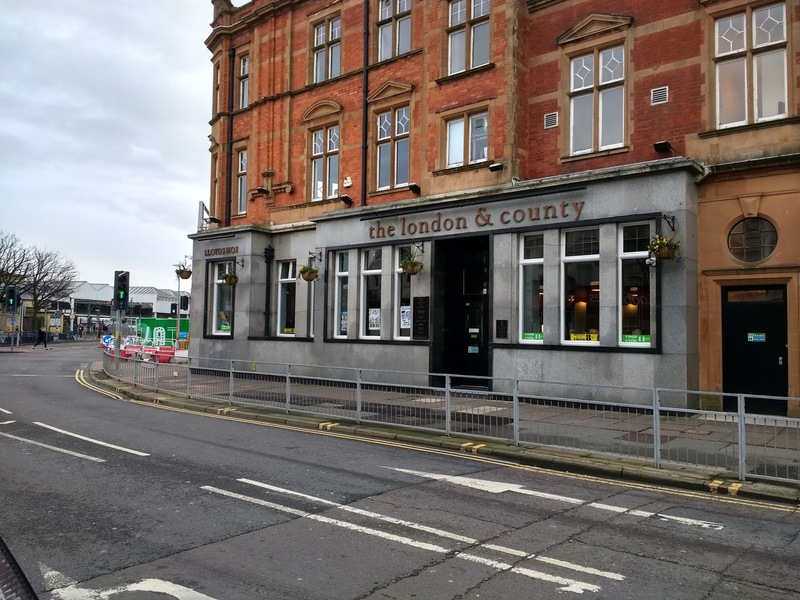 The town is right on the doorstep, your best bet is to eat and drink at the London and County Wetherspoons, well above average for the chain.